April showers are inevitable and bring out a lot of the beautiful wildflowers you may look forward to every year. However, if you happen to get caught out in one of these showers, you could be dealing with a mess in your hair. Taking quick action when your hair gets rained on is important to minimize the damage and keep it protected in the future. Here are some quality hair care tips to consider when you get caught in an April shower. 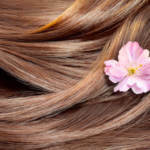 Using a good sulfate free shampoo immediately after your hair gets rain-soaked can prevent tangles and frizz. You’ll also be removing the toxins and pollutants from the air that consequently landed in your hair when it rained. Don’t rush through the shampoo process, as your hair needs to be soaked in the sulfate free shampoo a little longer than normal. The extra time will be well worth it. The added humidity in April causes enough frizziness to our hair to begin with, but rain will only compound the problem. Get into the habit of using a leave-in conditioner after every time you shower to protect your hair from damage and frizz. A good quality conditioner will keep your hair looking and feeling healthy even if you happen to get rained on. You may have a plethora of quality hair care products, but don’t try to use them all at once. It’s easy to think a combination of products are required to clean your hair and protect it again after it gets rained on. Instead of using too many products, just use the right type of products. These include a quality sulfate free shampoo, conditioner and maybe a protective serum as well. Do you sometimes leave your hair wet when you go to bed? Avoid doing this if you’ve been exposed to a rain shower. The bacteria in rainwater can lead to scalp infections and other problems with your hair. It’s best to dry your hair gently with a towel or with a blow dryer on the lowest heat setting. If you have the time, you can allow your hair to air dry. The most important thing is for the hair to get completely dry before going to sleep. RemySoft loves April showers just as much as anyone, but we also know what effects they can have on your hair. 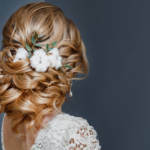 With a combination of quality hair care products and knowing how to use them, you can enjoy the April showers without worrying about your hair. Feel free to contact us at any time to see which products best fit your hair type as we enter the spring months.